Clth, 11 x 11 in. / 64 pgs / 30 color. 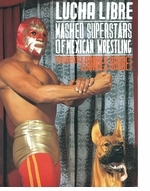 Lourdes Grobet has documented the spectacle of Mexican professional wrestling, known as lucha libre (free fighting), for more than 25 years. The only woman to have worked in such proximity to the sport, Grobet has photographed the masked luchadores in many contexts--and always in their signature disguises, which practitioners have worn since 1942, when a wrestler named El Santo stepped into a Mexico City ring wearing a silver mask, literally changing the face of the game forever. The mask, always a symbolically rich object in Mexican culture, serves both as a retreat (into anonymity) and as an attack, as a weapon with which to disconcert and terrorize the opponent. Its visual appeal, especially when set in scenarios outside the ring, was quickly apparent to Grobet, who describes El Santo as "one of the teachers that most influenced me early on." 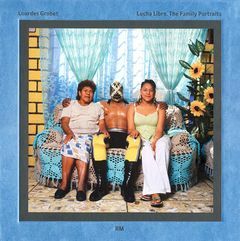 In Lucha Libre: The Family Portraits, Grobet shows the wrestlers with their mothers, wives and girlfriends, sitting for what would almost be a generic family portrait, but for the fantastic costumes of the luchadores themselves. By this simple recontextualizing gesture, we are brought to the threshold of their identities--and held there. The ungainly, monstrous and splendidly defiant stance they convey with this final preservation of anonymity is of course what gives Grobet's pictures their edge. One of Mexico's leading contemporary photographers, Lourdes Grobet was a student of artists Mathias Goeritz, Gilberto Aceves Navarro and Katy Horna, among others. For the past 20 years, she has surveyed Mexican popular culture, from female wrestling, northern emigration and neo-Mayan architecture to Cuban immigration. Her influence on younger generations of Mexican artists, including Gabriel Orozco and Rubén Ortiz Torres, has been considerable. Edited by Alfonso Morales. Text by Carlos Monsiváis, Carlos Rodriguez. FORMAT: Clth, 11 x 11 in. / 64 pgs / 30 color.